Vole Internet Expedition is a new generation web browser, a fast and more graceful way to browse the web. Vole Internet Expedition Scene-Reproduce feature reproduces all the websites that you customized automatically, Docking-tabbed feature lets you dock and table your websites as you swant. You do not have to manually search, open and close the same websites again and again. Vole Windows Expedition is a new generation file manager, a fast and more graceful way to manage your documents. 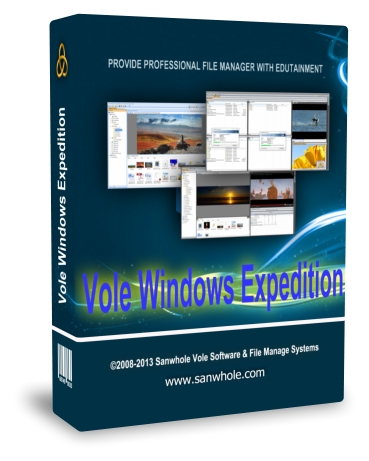 Vole Windows Expedition Scene-Reproduce feature reproduces all the files and folders that you customized automatically, Docking-tabbed feature lets you dock and table your files and folders as you want. You do not have to manually search, open and close the same files and folders again and again. You do not have to manually adjust the files and folders docking and table position again and again. So have a cup of coffee, open the software lets Vole Windows Expedition do all for you, it will save much time for you every day. 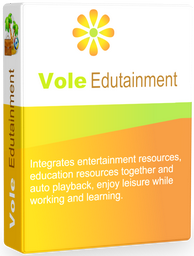 Vole Edutainment integrates pictures, music, movies, Office Word, PDF, any other documents and online resources into VMC multimedia library and automatically play all these resources in the built-in Media Player, lets you enjoy leisure while working and learning. 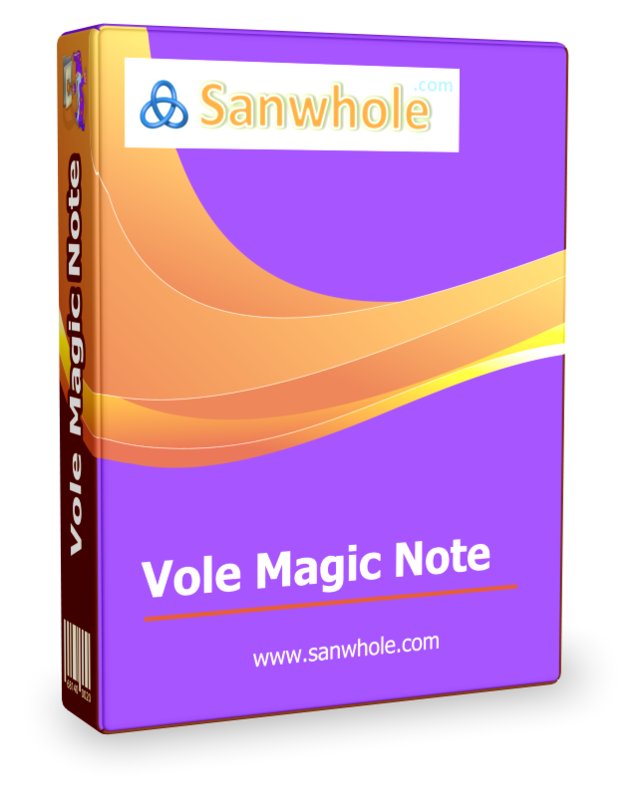 Vole Magic Note lets you create and organizes multimedia notes with easy. You can integrate local disk image, audio, video and any other documents even online resources such as YouTube, Vimeo, Dropbox and even websites into your daily notes and enjoy them in the built-in media player. With Multimedia Integration, Rich Text and Magic Touch, Events Reminder, Powerful Search, Dock-tabbed window and six beautiful themes, Vole Magic Note provides you a new multimedia based notes experience. The software lets you remember any text, not only the language's words, for example, sentences, articles or formulas and so on. Furthermore, it lets you remember pictures, music and movies and even online resources. The answer comparison system and auto score system will improve your memory efficiently. Add multimedia, comments and reviews without changing the original word file Title: Vole Word Reviewer - Description: Add multimedia, comments and reviews without changing the original word fileWhen you are reading or learning a Word file. You may want to make some notes. Maybe integrate some local disk image, audio or video or online resources such as YouTube video etc. into your notes can make it better. Even if you have Word processor installed, it cannot help. Because it cannot integrate multimedia based notes. When you are approving or releasing electronic documents, you'll add your comments and digital signature, but you cannot change the original files, which is the basic requirements for electronic documents management. When you are reading or learning a Microsoft CHM doc, you may want to write some notes for you or some comments for your staff. Reviewing the doc or printing out are not good ideas, because that will change the CHM file or uneconomical. Vole CHM Reviewer can add text, image, audio and video reviews to CHM document. Vole CHM Reviewer shows the original doc and user reviews in parallel window and display text notes and multimedia notes synchronously. Vole CHM Reviewer never changes the CHM doc in VMC, and you can export the original CHM doc at any time. CHM is Microsoft standard help document format. 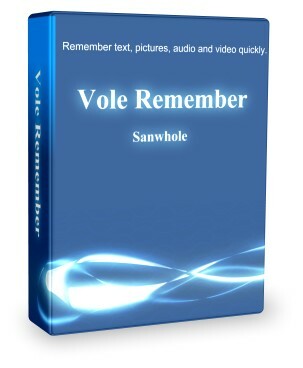 Vole Media CHM is a standard Microsoft CHM document created by Sanwhole Vole Media CHM software. Vole Media CHM lets you create professional and stunning CHM via Microsoft Office Word. You don’t have to know the complicated CHM structure. You don’t have to spend a lot of time to create and compile CHM components. If you can use Microsoft Office Word you can create professional and stunning CHM. Vole Media CHM supports Microsoft, OpenOffice, LibreOffice and Softmaker Word processor. 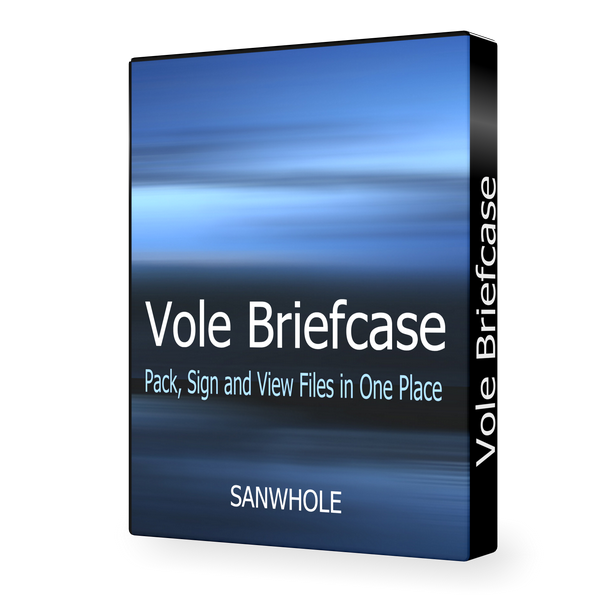 Pack, Sign and View Your Documents in One Place Title: Vole Briefcase - Description: Local and Online Resources Packer and Player Vole Briefcase packs all your documents in a single file; protects your documents with 2048 bits PKCS #12 digital signatures; presents your documents in build-in media player. 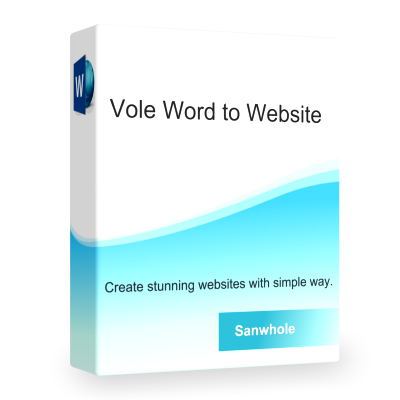 Vole Word to Website lets you create stunning website and blog in the simplest way. You do not have to know any HTML, ASP.NET. PHP etc. What you have to know is Microsoft Office, OpenOffice, LibreOffice or Softmaker. If you know how to use any one of these Word process software, you can use this software! Vole Word to Website can add text, image into your website and blog. And more the software can insert beautiful tables, Word Shapes, Word SmartArt, Word Chart and WordArt into your website. An iterative four-step management method used in business for the control and continuous improvement of processes and products. Title: Vole PDCA - Description: An iterative four-step management method used in business for the control and continuous improvement of processes and products Vole PDCA (Vole Plan–Do–Check–Act) is an iterative four-step management method used in business for the control and continuous improvement of processes and products. Vole PDCA is the easiest and cheapest way for business to manage your project documents, quality control, process control and meet with ISO 9000 requirements. Vole PDCA lets you create MS Office Word based project description PLAN; Integrate any project documents into a project document library to trace your DO; Support PKCS #12 digital signature to CHECK; Powerful version control can achieve ACT and continuous improvements. Vole PDCA is practical software that gets back your projects control so that you can reduce unnecessary quality problems and simply Get Things Done. By using Vole PDCA, your team will be organized, your clients will be impressed, you will be more confident through the ISO 9000 quality examined, and your business will take off. Aha-Soft IconLover 5 contains all tools you need for creating and editing Windows icons and cursors and managing icon libraries. The program is friendly enough for the casual user who wants to tweak a couple of standard .ICO and .CUR files, yet powerful enough for the professional graphic designer who needs to create original icon and cursor images and manage extensive icon libraries. If this is the first time you have used IconLover, browse through the help topics to get an idea of what the program can do. If you are familiar with previous versions of IconLover, you can find a list of the new features in What's New in IconLover 5.